The main focus of this report is to analysis Employee Turnover in Rahim Afrooz Limited. General objectives of this reports are identify the type of employees who terminate employment, to identify the causes of employee turnover in RAL and to identify possible opportunities for the employer to decrease future employee turnover within the organization. Finally this report make swot analysis Employee Turnover in Rahim Afrooz Limited. Employee turnover is a part of normal business activity; employees come and go as their life situations change. Employers realize this and, indeed, firms typically have entire departments devoted to the management of human resources in order to make the transition as painless as possible for both management and employee and to minimize the associated hiring and training costs. Some causes of employee turnover are job-related factors that are somewhat within the direct control of the employer. Examples of such factors would be dissatisfaction with working conditions, supervising conflicts, scheduling conflicts or salary discrepancies. In contrast, non job-related causes of employee turnover are generally out of the employer’s control. Non job-related causes of employee turnover are those things in the employee’s personal life that impact their performance in the workplace. Examples of these would be relocation, family problems and chemical abuse. Although these causes are not directly within the employer’s control, some organizations have sponsored responsive programs for the non job-related category such as employee assistance programs and stress management training that better prepared employees to deal with personal issues that impact their work performance. This research examined the causes of employee turnover in Rahimafrooz Ltd. The study utilized data extracted from current employees by questionnaires and data of exit interviews conducted on exiting employees of the Company, which included the individual reasons given for leaving the organization. Problematic employee turnover rates have continued to plague this company. From a very practical standpoint, minimizing the turnover of skilled employees is crucial in reducing the escalating costs associated with replacing the exiting employees. Identify the type of employees who terminate employment. Identify the causes of employee turnover in RAL. Identify possible opportunities for the employer to decrease future employee turnover within the organization. Controlling employee turnover can constitute a complex and challenging task for both the workplace and administrators. Managers may have difficulty understanding and or accepting employee turnover within their organization, due to a myopic perspective of the situation. However, identifying the underlying causes, quantifying the problem, and identifying possible solutions to high employee turnover can prove to be valuable information for managers who wish to make a difference (Mobley, 1982). Numerous researchers have tried to identify the various contributing factors to employee turnover in the workplace in addition to the causes of turnover and dissatisfaction. Traditional theories have focused on how employees make their decision to leave the workplace. Within these studies, several of the following factors have continued to surface in relation to turnover, showing that there are leading underlying factors that exist in causing the actual act of turnover. Intent to Leave: Intent to leave is one’s behavioral attitude to withdraw from the organization, while turnover is considered the actual separation from the organization. Intent to leave has replaced job satisfaction and organizational commitment as the strongest predictor of turnover in the studies that have actually examined turnover (Keaveney, 1992). Intent to leave is based upon an attitudinal variable and is most typically found in job-related turnover (Cotton and Tuttle, 1986). Job Satisfaction. Job satisfaction can be explained as the positive emotional state resulting from appraisal of one’s job or experience. Developing more slowly over time than satisfaction and being more extensive, organizational commitment is one’s identification with and loyalty to an organization (Mowday, Steers, & Porter, 1979). The vast majority of evidence supports the claim that job satisfaction leads to organizational commitment (Brown & Peterson, 1993; Williams & Hazer, 1986). Job Dissatisfaction. Job dissatisfaction has been found to be a common occurrence with several levels of severity. A direct positive correlation was found in the employee’s level of dissatisfaction and the chance that the employee would leave the organization. For managerial trainees in a large merchandising firm, Porter, Crampton and Smith (1976) found that organizational commitment diminished prior to the individual’s actually leaving the organization. Also, the level of job dissatisfaction did decrease when employers attempted to accommodate all reasonable requests for improving the work situations. Role Stressors: Staw (1980) identified three role stressors, which contribute to employee turnover. These three role stressors are role ambiguity, role conflict, and role overload. Almost the opposite of lack of responsibility, role stress is a result of work environment perceptions and thus, influences affective responses such as organizational commitment. Role ambiguity results when an employee is uncertain how to perform the job. This could occur when there are undefined management positions within an organization. Role conflict is experienced when an employee receives two or more sets of expectations or demands that are incompatible and cannot be simultaneously satisfied (Churchill, Ford, & Walker 1976). The first two, role ambiguity and role conflict are stressors that are experienced within the organizational framework itself. Unlike the first two, role overload is when extra organizational variables are added into the context of the workplace. An example of this could be work-family conflict, where the pressures of the two roles conflict and one or both areas are in need of consideration. Work-Family conflict is likely to directly affect intent to leave, and the more work-family conflict an employee experiences, the greater the employee’s intentions to leave the organization. The company will be less likely to pressure the employee or manager into a conflicting situation that could contribute to the work-family conflict, knowing that increased levels of role conflict will negatively effect commitment to the organization. This is something that must be considered when promoting an employee considering that in many retail organizations promotions are often contingent upon geographic relocation (Brown & Peterson, 1993). Poor Employee Training and/or Orientation: Training is a method used to increase job related employee knowledge. Employees beginning a new job need to be introduced to the job, its duties, and the expectations that will be placed upon them. This training should be only the beginning process to mold the employee into the corporate culture and ideals. “It has been estimated that in the United States organizations spend approximately $30 billion per year on formal employee training programs. In addition, the sum of approximately $180 billion a year is spent on informal training and coaching” (Warshauer, 1988). Warshauer also identified eight critical elements in successful training sessions. These items include program content, training methods, employee input, and an assurance that the training meets organizational needs. Lack of Advancement: When employees perceive no growth areas/future or desire to advance within the system, they have no reason to remain in the current work situation. If growth is desired but leaving the current employer is required, it will result eventually in the employee’s departure. Income: It is not uncommon for people to leave one position for a higher paying position, sometimes within the same company. It is hard to keep employees when paying significantly less than others are offering, which has been common in the retail setting. However in past studies income has been consistently, related negatively to turnover (Cotton and Tuttle, 1986). Lack of Respect: Certain businesses have been criticized for not giving employees the respect that they feel they deserve. Employees expect to be treated with dignity and respect at all levels of the job. Employees can be the deciding factor in an organization’s success. For this reason, employers should treat employees with respect and in the same manner in which they would like to be treated. If management does not realize that employees are its most important assets, it will continue to have substantial turnover, mediocre productivity and inadequate customer relations. In the book The One Minute Manager, the authors mention that people are not pigeons, they think for themselves, and do not want to be manipulated by others (Blanchard & Johnson, 1982). Lack of Responsibility: It has been stated, “…responsibility is the single greatest motivator in business” (Weinstein, 1992, p.92). In some instances individuals perceive that they are ready to make the decisions yet, management may never give them the chance. Responsibility is a major factor that can provide a lasting change of attitude (Herzberg, 1966). Therefore, empowering the employee could be a critical investment in a company’s future. Opportunity to Move: The long hours and lower pay scales typically found at the entry-level management position have contributed to the conflicts of a work/life balance. Also, understanding the implications of promotions within retail that are often contingent upon geographic relocation, has led many firms to recognize that it is better to keep valued employees happy and in a stable, albeit slower, career track that doesn’t have as great a risk of disrupting the employee or their family’s well-being with a move. Entry-level managers also have faced the potential dilemma of receiving assignments and possibly, not having the personnel to complete the assignment. Therefore, retailers and employees need to recognize and weigh the possible outcomes with the opportunity to move. In any successful business, owners and managers must control expenses to increase profits. Understanding the importance of how employee turnover relates to the expense and implications on a business is essential in all business, not excluding retail. Managing turnover can also be a cost-effective way for retail management to show their commitment to the organization (Gardner, 1986). Strategies for effectively managing turnover necessitate both prediction and the previous explanations of how turnover works. There are few empirical studies regarding the relationship of turnover to the performance of the work unit. However, several researchers have speculated about negative and positive effects to the organization and/or attempted to quantify costs. Therefore, a brief review of these studies and findings is warranted. Although retail turnover is generally considered by industry experts to be too high most retail managers agree that not all turnover is bad. Some situations occur where an employee is not well suited to the organization and it is better for the individual and the company for that person to leave. Dalton and Todor (1979), responding to researchers’ continued emphasis on the negative aspects of turnover, took a unique and positive look at turnover. They commented, “from an organizational standpoint, turnover costs may be misrepresented because of a failure to account for the benefits as well as the costs of turnover” (p. 231). The possible benefits of turnover depend on the job, the extent to which it demands physical or psychological abilities and on who actually leaves (Staw, 1980). Staw comments that “turnover rates do not, as a statistic, provide such information” (1980, p. 261). Turnover can increase organizational performance, but this effect depends on the role performance curve and contingency of the organization’s reward system. Turnover may also reduce conflict in the organization, but this result depends on the ideological nature of the organization and whether core beliefs or values are involved in the conflict… turnover may lead to organizational innovation and adaptation, but this result may, in turn, be moderated by the hierarchical level at which turnover occurs and whether inside or outside succession is followed. Some who study hiring and retention recommend figuring out which employees you want to keep and aiming your retention efforts at them specifically. David Foote, a research and management consultant, calculates that companies will find 5-10% of their work force include top achievers who should be retained, and about 25 – 40% are steady performers, worth retaining up to a point. Turnover may have several positive consequences, yet high turnover rates in retail remain a reality. Finding the solution to this issue is crucial to retail survival. A booming economy has several prosperous benefits, yet attracting and keeping competent loyal employees isn’t one of them. Despite the overall prosperity of the economy, it is getting harder and harder to find qualified employees to fill positions (Gardner, 1986). When the economy is strong and jobs are plentiful, it makes hiring the right people imperative. Hiring qualified people who will stay is well worth the time and effort when the negative implications of a single bad hire are analyzed. During the labor squeeze, several suggestions have been offered to help find and retain key employees. These suggestions included: keeping a file of possible hiring candidates, offering higher wages, internet advertising, implementing a probationary period in which new employees would be rated, awarding a bonus to those employees who successfully refer someone (must stay for a certain period of time), and extending the employee training period. Job banks are another way of staying on top of the turnover issue. Companies should be constantly recruiting and not waiting until there is a vacancy, keeping a file of possible candidates, even if there are no job openings. When there is an opening, there will be a list of contenders. Finding the right candidates for a specific job could include “rounding up” current employees who have been successful and testing them. A test such as the MBTI (Myers Briggs Type Indicator) may reveal personality traits common to strong performers within the organization. The Rahimafrooz journey dates back to the early fifties when Late Mr. Abdur Rahim founded a small trading company and paved the way for making of one of today’s leading Bangladeshi business conglomerates. Over the decades, Rahimafrooz has grown in size, scale, and diversity. The group today has seven Operating companies (SBUs), three other business ventures, and a non-profit social enterprise. As of 2008, the group currently employs more than two thousand people directly and a further twenty thousand indirectly as supplier, contractors, dealers and retailers. Mainly rahimafrooz’s main business is battery manufacturing. Though it is no diversified its range of business to several products and services, still its main profit earns from the battery business. No Rahimafrooz is exporting batteries after meeting the local market demand. It exports the battery to India, Singapore, Afghanistan, Nepal, Bhutan, srilanka, Africa, Nigeria and several other counties, thus generating huge foreign currency for the county. If we take a glance of the business of profile , we can categories its business as battery manufacturer, recent years its star serving the nation by opening the concept of superstore , CNG conversion center and so on. To be a trusted organization through operational Excellency, maintain honesty and integrity in all our dealings. a) To achieve sales revenue of Tk 1200 million based on unit price of taka 4200 (N50 battery) per piece (distributor price) for the first year and to raise it up to 2000 million by the subsequent year. b) To earn a net profit of Tk 180 million for the first year and Tk 320 million in the subsequent year. There are some attractive opportunities and threats also. If Rahimafrooz can utilize the opportunities properly then the threats of the products will be minimized and market share and as well as customer loyalty will be increased in line with the corporate strategy of the parent company. SWOT analysis of Rahimafrooz batteries Limited is mentioned below. 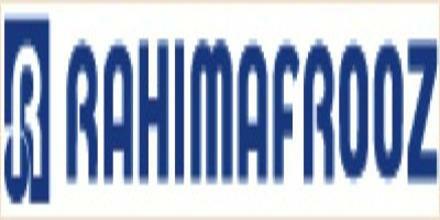 Rahimafrooz has 60 years experiences in lead-acid battery manufacturing and exceptional customer loyalty. Experienced and efficient human resources to develop the new product without the consultancy of external experts. Modernized production line in new factory where production capacity will be surplus after completing the full project of line extension. Control on raw material availability and pricing. Strong financial strength to launch any project and has a very good images among the financial institutions to get supports also. Product quality will be much better than any existing product in the sector. Strong sales and distribution channel in all over the country and existing export markets. Yet to get OHSAS certification which is very helpful to enter in to CIS market. Lower margin for initial market penetration. Product from third world country. Opportunities: To create new brand image. Enhance sales: To use existing experienced distributors who are dealing business in CIS countries with various Indian products. Some expected competitors in this new market is already known and has a better result of competition in other countries. Long distance of distribution may hamper product quality. If warranty may not be maintained as on offer then a new market creation policy may be hampered. The research questionnaires provided valid data for the study, although a few questionnaires provided incomplete data. The data provided by the respondents were analyzed and the results reported in the following sections of this chapter. The first part of the research questionnaire requested general information about the respondent. The responses taken from the exit interviews focused on four specific questions and the feedback given from the respondent. The obtained information that was focused on included gender of respondent, status of employment, length of employment and the reason for termination. The human resource manager of the organization provided the gender of each respondent. Out of the 35 exit interviews completed, 7 of the respondents were female, 28 were male. Out of the 15 present employees, 4 of the respondents were female, 11 were male. Although the gender difference is dramatic, it reflects the overall gender imbalance in the organization. Respondents were asked to provide the date when they were first employed by the organization. Using the date on which the interview questionnaire was completed as the last day of employment, the number of days worked at the specific organization was calculated for each respondent. The length of employment for each respondent was then categorized according to the following criteria: 1) employed less than four months, 2) employed 4-12 months, 3) employed more than 1 year but less than 2 years, and 4) employed more than 2 years. One question on the interview questionnaire asked the respondents to indicate their reason for leaving the organization. When all the data was tabulated, different reasons for termination were identified. The reasons for termination were identified and then collapsed into few categories based on the similarities found. The individual and collapsed category results are given. When the reasons for terminating were analyzed by category, the greatest number of exiting employees gave job-related reasons for leaving. Non job-related reasons were given by 26.00% of the exiting employees. Four of the respondents left without notice. Reasons due to employee faults were given by none of the respondents. When the categories of reasons for terminating were analyzed by gender, the category rankings were the same as for the aggregate data in Table below. Job-related reasons were most often the reason given for leaving by both males and females. Although the gender differences are significant, a greater percentage of males left due to non job-related reasons. A significant difference in category of reasons for leaving was found based on length of employment. The greatest number of respondents left for job related reasons except for those employed 0-12 months (see Table below). The number of these employees left without notice (8%), yet almost as many left due to job related (34.0%) and non job-related (20.0%) reasons. For the exiting employees who had a length of employment of 1-2 years, little difference was found in the number who left due to job related (16.%) and non job-related (4.0%) reasons. The major findings of this study revealed that around two-thirds of the employees who terminated employment during the period had been employed for 12 months or less. The greatest percentage (67.57%) of respondents left due to job related reasons, followed by 27.03% who left for Home responsibility, family and heath reason. These job related reasons included: dissatisfaction with retail, dissatisfaction with salary, better employment non-retail, no career growth and scheduling problems. More males (74.0%) left the organization than females (26.0%), reflecting the overall gender imbalance evidenced in organization retailing. Job related reasons were most often given for leaving by employees who had been employed 12 months or longer. The problem of employee turnover has plagued the organization for many years and will most likely continue. The problem of high employee turnover warrants attention. The organization may contribute to the problem or chose to work to decrease employee turnover. By understanding the implications of actions involving employees and the organization can hopefully have a favorable impact on employee turnover. Organization must learn to adjust their traditional practices to avoid compounding the employee turnover problem. This study examined the reasons for termination of employment of 50 employees of RBL. General information about the exiting employees and the reasons given for leaving the organization were analyzed in an attempt to identify possible opportunities to decrease employee turnover in the future. The results of the study are summarized in the following sections. Of the 35 exit interview and 15 current interview questionnaires collected, 37 (74%) were from female employees and 13 (26%) were from male employees. These percentages reflect the typical ratio of male to female employees in the organization. The respondents were asked to give reasons why they were leaving or want to leave the organization. Of the 50 interview questionnaires, 8 different reasons for leaving were offered by the respondents who answered this question. The reasons given were then analyzed to determine whether the specific reasons differed based on the gender, employment status or length of employment of the exiting employee. The major reason for leaving the organization is Job related reason (66%) among them Fourteen (28%) of the employees indicated they were leaving because they found a better job, 18% left because of no career growth. Left Without Notice accounted for 4 (8%) of the reasons given for leaving.. Finally, the individual reasons for leaving or want to leave were collapsed into six categories based on similarities found among the 3 reasons given. The six categories included: 1) job- related, 2) non job-related, 3) left without notice, Job-related reasons for leaving included the employees expressed dissatisfaction with working in the organization, dissatisfaction with his/her salary and having obtained better employment in other organization. Non job-related reasons included the need to relocate distant from the present job site, poor health and marriage. When the 8 individual reasons for leaving or want to leave were analyzed, significant differences were found based on gender, employment status or length of employment. An overwhelming majority (62%) of the exiting employees left within the first year of employment. Further analysis revealed that job-related reasons were given for leaving by 17 of the 50, or 34.0%, employees who left within the first year of employment. Of those who left within the first year of employment, 10 (20%) left due to non job-related reasons. The results of this study indicate that employee turnover within the organization is due to some very specific reasons. The exit interviews indicated that more than half the exiting employees had been employed 1 year or less and most left for job-related reasons—reasons that are somewhat within the control of the organization. Significant differences exist among the reasons given for leaving based on employment status. From the data collected it can be assumed that even though the majority of the respondents are male, there was no significant difference in the reasons for leaving based on the gender of the exiting employee. The rising cost of employee turnover validates the need to lend more resources to finding solutions to the problem. Previous research confirms that the costs associated with losing a valuable employee and training a new one can equal 1.5 times the salary of the exiting employee, not to mention the time needed to fill the position and the possible lost business that could occur when the position is vacant or a new person is in training. Additionally, it has become necessary to hold onto skilled employees with a shrinking labor pool. Organizations need to gain the valuable insight into the reasons why employees continue their employment with their current organization. Some stay out of loyalty, others stay for a monetary commitment, but the ones that really want to be there are the employees that generally succeed. Research findings on why employees leave their jobs and why they stay can be sorted into categories. Therefore, it leaves a majority of the speculation behind and concentrates on the formulas. A realistic depiction of the work is a crucial piece in reversing turnover. This enables applicants to understand the challenging and less pleasant aspects of the position along with the advantages. Future research could examine reasons for termination for an entire year within the organization, as this would allow for any seasonal fluctuations in employment. Development of a more specific data-collection tool which would address such factors as changes in organizational strategies, the existence of support systems among employees, and inconsistencies in job expectations based on initial job description would provide valuable data for companies interested in improving employee turnover.